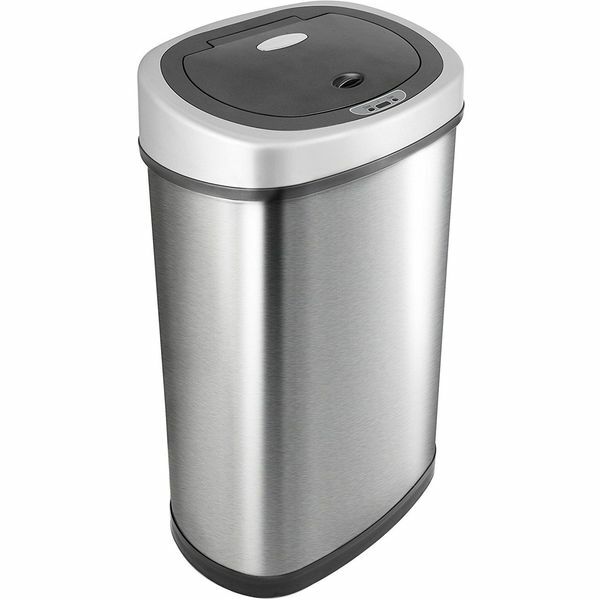 The Seville Classics 17-Gallon UltraHD Commercial Stainless Steel Trash Can is the perfect trash can to place in a space where you need a large, durable place for throwing away waste. Locking caster wheels make it easy to roll this can wherever you need it, and the resin top comes off completely. 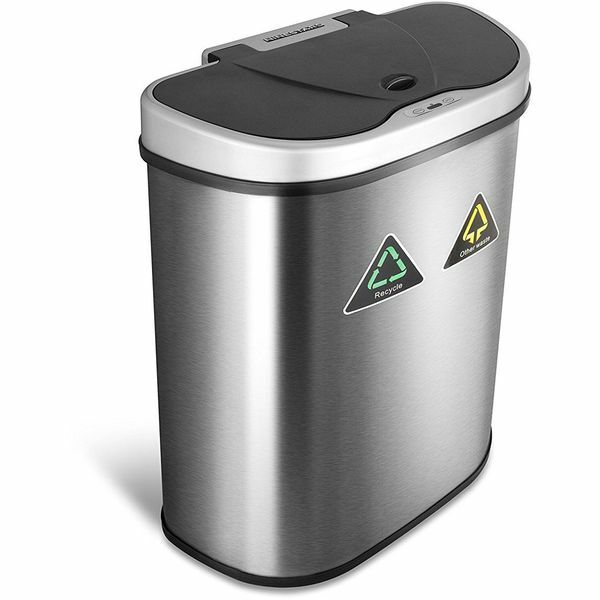 Even your stinkiest trash like food waste and kitty litter is no match for the odor fighting power of the iTouchless Deodorizer Touch-Free Sensor 13-Gallon Automatic Stainless Steel Trash Can! Using a carbon filter, this trash can neutralizes those unpleasant scents, and looks handsome in any space with its gleaming stainless steel construction. 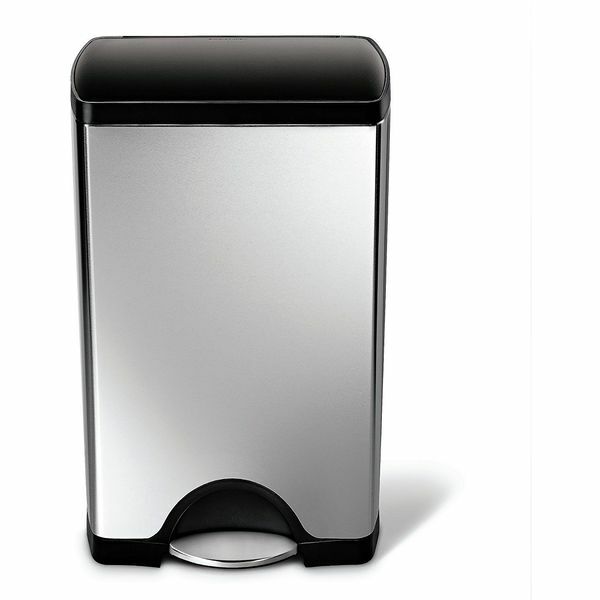 The simplehuman Rectangular Step Trash Can is proof that a trash can can be stylish! 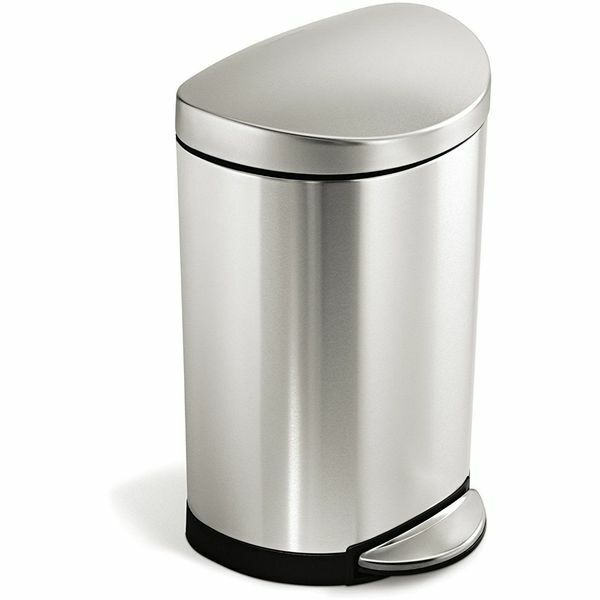 Minimalist modern design inspired the clean, sleek lines of this 10-gallon trash can, which has an ergonomic pedal that lifts the lid with ease. 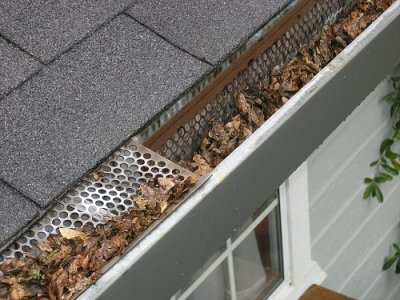 Lid shox are mounted on the top to keep the lid from banging closed. 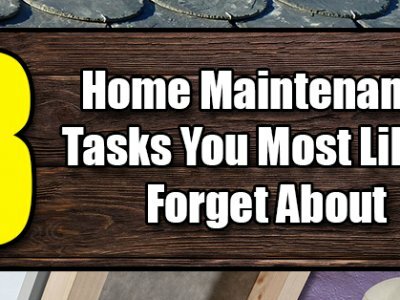 The simplehuman Semi-Round Step Trash Can has the elegant look of a round trash can but in a half moon design that fits easily against the wall. 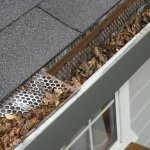 Using lid shox technology, the lid on this step can closes slowly and quietly, and there is a removable bucket inside for easy emptying. 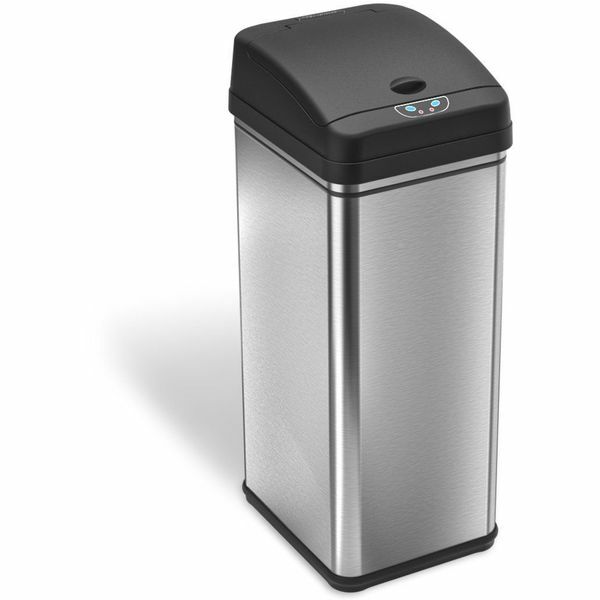 With the Nine Stars Infrared Touchless Stainless Steel Trash Can, you don’t have to step on a pedal or pull on a handle to throw something away. 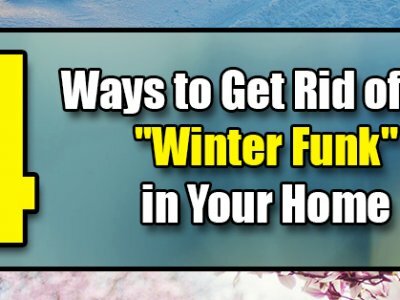 The can has a state-of-the-art motion sensor that opens the lid when you reach for it. Energy-saving technology allows the battery in this model to outlast those used in other cans. 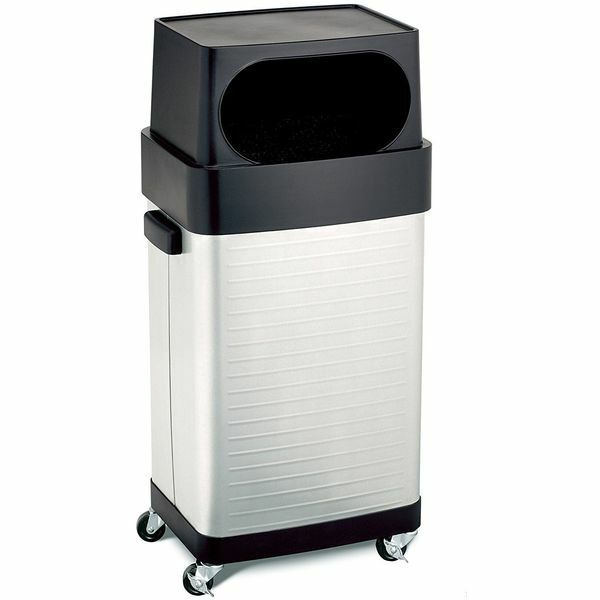 Keep things looking sleek and conditions sanitary in any room of the home with the Nine Stars Trash Can/Recycler. On one side of this stainless steel design is a recycling bin, and on the other is a place for your trash. The lids on the appropriate side will open automatically when you reach for the bin.